SOFTMACHINE: RIANTO & SURJIT – International Theatre Festival "Varna Summer"
International Theatre Festival "Varna Summer"
In English and Indonesian with surtitles in Bulgarian and English. Virtuoso physical techniques between tradition and contemporaneity. Choy Ka Fai conceived “SoftMachine” as an expedition across the choreographic landscape of Asia – its past, present and visions for the future of dance. Part of the project is a series of documentary performances – stage portraits of choreographers from various Asian cultures. 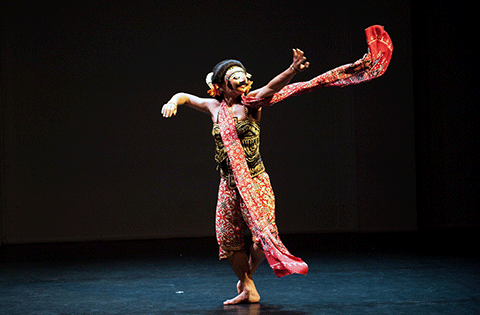 Surjit Nongmeikapam is a dancer from Manipur, India. The documentary performance will present the process of creating a new dance performance for the consumption of the European audience, revealing the artistic strategies, marketing ideologies and the precarious attempt at exoticizing oneself. Tickets Price: 10/ 8 BGN Duration: 145 min.